CHAIRMAN of the All Progressives Congress, APC, Adams Oshiomhole last night said that the party will not share Committee Chairmanship with the opposition party in the ninth National Assembly. This is as Oshiomhole has presented the current Majority Leader of the House, Femi Gbajabiamila as the adopted candidate of the party for the speakership position. Hon. Abdulmumini Jibrin Gbajabiamila Campaign Director confirmed to newsmen that he (Gbajabiamila) was presented to President Buhari. But a source at the meeting said, President Buhari declined to make comment on Gbajabiamila. According to the source, Hon. Ahmed Wase (APC, Plateau) stood up after the presentation of Gbajabiamila to express surprise, that after meeting Mr. President to step down from the position of the speaker and take over as deputy speaker, his name was not mentioned at the dinner for the position. The Special Adviser to the President for Media and Publicity, Femi Adesina, told State House Correspondents that Buhari called for unity among party members. Adesina said: “90-95 percent of them are in unison, seem to agree on the position of the party..unanimity ran through the meeting. We cannot speak for five percent. The President urged them to maintain the unity referring to what transpired in 2015…if there is disunity in their ranks, then anything can happen. He urged them to maintain the unity and stand by the position of the party.” The APC Chairman while making his remarks at the dinner hosted by President Muhammadu Buhari for House of Representatives members-elect at the Old Banquet Hall, Presidential Villa, Abuja. 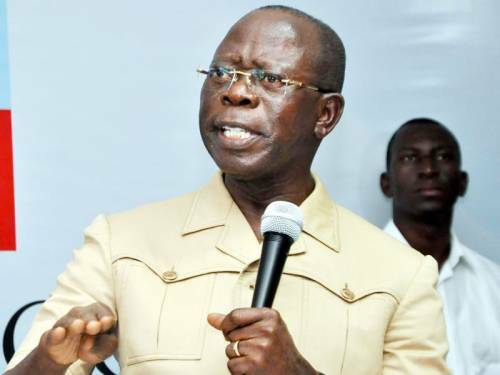 He said that the APC has about 223 members-elect out of the 360 House members and that 67 were re-elected for the ninth assembly, adding that there was no room for coalition with the opposition as the ruling APC has two-third to carryout any legislative business including amendment of the constitution. According to him “Mr President on your behalf we have had a meeting, the NWC with the new members of the House of Representative elect who are yet to be sworn in and later they were joined by the re-elected members. And so we had an APC caucus of the house of representative which was held some weeks ago at Yardua center. “Your excellency, I found that meeting very revealing just listeninga to the quality of intervention made by new members yet to be inaugurated. “I am convinced sir, Nigerians have mDe a very wise choice in electing the members in the house of representatives. They demonstrated deep knowledge of the challenges that we face. They acknowledged the need to work together as a party. “I think they recogise that Nigeria realise that we have gone through some avoidable difficulties in managing your first term because we have what I can easily describe as a hostile leadership of the national assembly and there is no better evidence to this that. The fact that people elected o. The platform of our party even in the face of pronouncements of the supreme Court that it is parties that win elections not cadidayes. “They were elected on the basis of our platform, they were beneficiaries of the party and when it suits them they decamped and turned us to a mi ority a d created tension in the sustem, xecli ex to approve or even consider nominees fro. “His excellency for various positions, delayed budget needlessly in order to make I.
Plementation difficult and created all sorts of obstacles that you will think that the National Assembly was dominated by members of the opposition yet they were APC members. “For me sir, what I have found in life there is nothing wrong once you admit that you are human, kistakes are expected but it ca. Only become a problem if we repeat mistakes twise. “From the lessons we have learnt fro. What happened in 2015 we are determined that in 2019 we’d not repeat those mistakes. We draw the apropriate lessons from those mistakes and we move on. If you are elected, it means you are tested and trusted. “Out of 223 APC elected members, about 67 were re-elected, the rest are new members. “In other climes, you don’t go into coalition when you are in the majority, you do so when you don’t have the numbers. We have the numbers, out of 306, Nigerians elected 223 APC members because they don’t want Mr. president to face the trauma of 2015. “Most of those who decamped were rejected and even those who led it were uprooted. We cannot as a party which has a comfortable majority, entrust critical committees in the hands of the PDP or opposition. “If Nigerians wanted them, they could have voted them. In the days of PDP, every committee were chaired by PDP members. Describing the present leadership of the National Assembly as selfish, greedy, he said, “We do not need to do business with the devil for us to survive in the ninth Assembly. “In African family, we sit down in a closed door to address issues, the good news is that there is a role for everyone. “Neither mr president nor the party expects the National Assembly to be rubber stamps, we don’t have rubbers…But we will not fight in Wuse market. “Both the re-elected and new members are entitled to heading committees “We have asked our people not to share what belongs to us with other party members. “I don’t have apologies against forces of retrogression.” Gbajabiamila’s main challenger, Chairman Committee on Agricultural Productions and Services, Hon. Muhammad Monguno had last week withdrew from the race for Speaker of the 9th House of Representatives. Monguno, who represents Marte/Monguno/Nganzai Federal Constituency of Borno State, said Gbajabiamila was the most qualified among all contenders. Still in the race are House spokesman Abdulrazak Namdas (APC, Adamawa), Ahmed Wase (APC, Plateau), Chike Okafor from Imo State who declared his intention yesterday and Umar Bago (APC, Niger). Those in attendance were Secretary to the Government or the Federation, Boss Mustapha, Chief of Staff, Abba Kyari, among others.